A place that has been pulling in serious travellers, thrill seekers, hikers and trekkers and of course, photographers from around the globe—Ladakh needs no introduction. 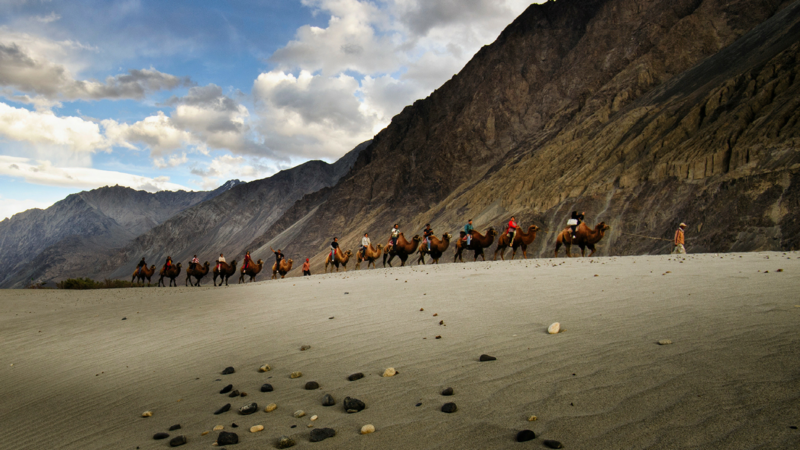 Engulfed by the mighty Karakoram range, Ladakh has become a popular tourist destination. 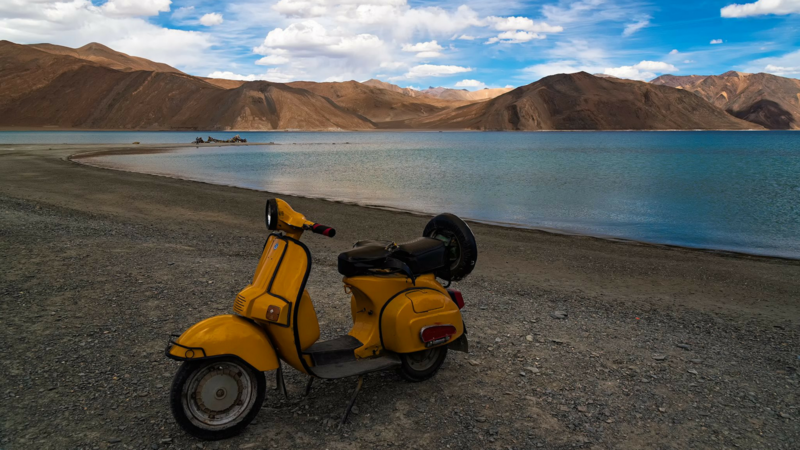 The bewildering beauty of these vast mountains, plateaus and the famous Pangong Tso, photo enthusiasts keep coming back to satiate their thirst for the perfect shot. A trip to Ladakh is like no other—it is said that Ladakh changes the way people view travel. It is also a spiritual journey more than just another place to tick off your bucket list. With monasteries, passes and a humbling experience of interacting with locals. Far off the maddening crowd, Ladakh is going to be a trip to remember. Although Ladakh is hardly an offbeat destination anymore, the untouched beauty of the valley is a visual treat for everyone who considers visiting the destination. The terrains make it a difficult destination to travel to, the sights are extremely rewarding. Our Photo tour to Ladakh has a combination of some of the best shots that one can find in the valley. With ample time to acclimatise, we will set off to photograph the Pangong Tso, travel great lengths to the Khardung La pass, cross over to Nubra Valley, click the sand dunes of Hunder, sit by the bank of TsoMoriri and stargaze, stupefied by the eerie beauty of the humongous milky way. The Photo Tour comprises of the best spots in Leh- Ladakh. The monasteries, flowers in the Nubra Valley and the monks have always been great subjects for photography. 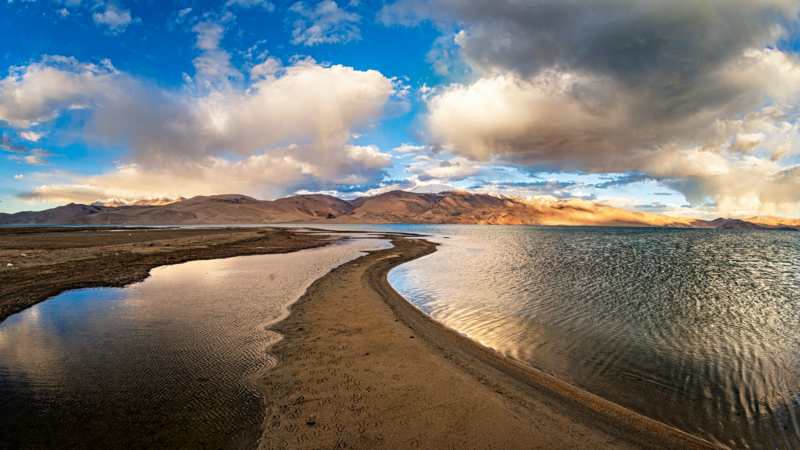 Whether you love shooting landscapes or people, Ladakh has it all. The vast Karakoram Range provides each one to skill their hands in landscape photography. The nights are mostly clear and is a great scope for those who love capturing the milky way or want to try taking astro shots. We will explore Leh at length and often keep it as our base for most parts of the trip. From Leh we will drive to Khardung La, world’s highest motorable road and delve into it’s villages. After which we will head off to see the Diksit Gompa in Nubra Valley—a beautiful monastery located in the tri-armed valley of flowers. Before we go back to Leh the next day, we will shoot the golden sand dunes of Hunder and after a night at Leh, we will make way for the pristine blue waters of Pangong Tso. Other highlights from the Photo Tour will be camping at Tso Moriri and visiting Tso Kar. 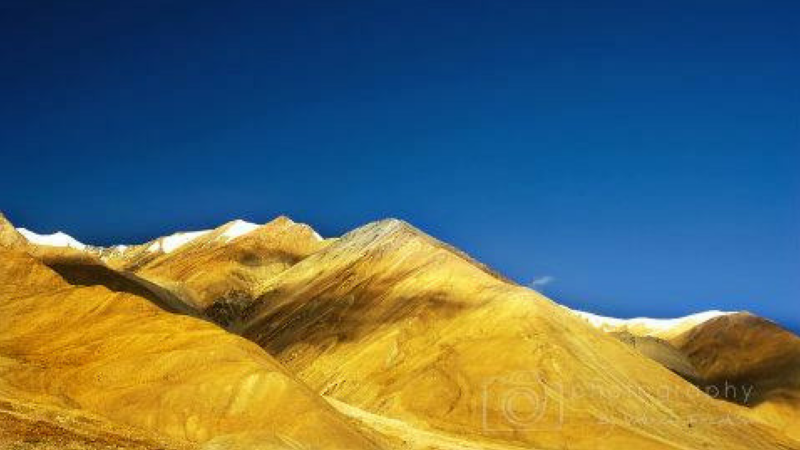 Besides that, there is enough in Ladakh to keep one visually occupied. From shooting enroute each destination to returning home with some stunning shots of the many monasteries and some of the cutest kids of Ladakh—there is something for every genre of photographer. By Air—Leh has an airport that has direct flights from Delhi, Chandigarh and Jammu and connecting flights from most cities. By Rail—Nearest Railway station to Leh is located in Jammu. From where it is a 700km road journey. By Road—Adventure lovers often drive all the way to Leh via the scenic Manali route. One may have to take a few stops along the way. Visit Khardung La, Khardung village, Diksit Gompa—a monastery situated in the capital of Nubra Valley. Leave for respective destinations after breakfast. To confirm registration, fee is to be paid in advance. Talk to GoodShotz if you want to make part payment to book. The final payment on payment page will include 5% GST, and the same has to be paid as per government guidelines. ​Please note: The date of written (e-mail) communication of intent to cancel is the date considered for calculation of the cancellation fees. This tour is being taken to a high-altitude area and would require you to be at your healthy best. If any of the above is true, we advise strongly that you either take the prescribed precautions/medicines or do not enrol. ​Participants will be advised to have an Acetazolamide (Brand name: Diamox) pill every day to prevent and reduce the symptoms of altitude sickness. Please consult your doctor regarding the same if you have concerns. ​You will be asked to fill and sign a ‘Participation Declaration and Disclaimer‘ form before the commencement of this tour.